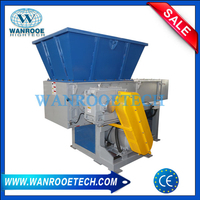 Difference between single shaft shredder and double shaft shredder - WANROOE MACHINERY CO.,LTD. 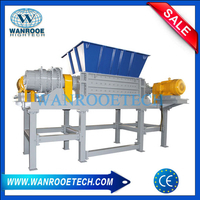 What is the difference between single shaft shredder and double shaft shredder? 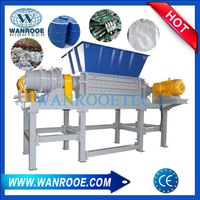 Both single shaft shredder and double shaft shredder are commonly used in waste recycling field, but they are different in a few aspects. Single Shaft Shredder is equipped with only one shaft with rotary blades, a hydraulic-driven pusher plate/arm, and a screen underneath the rotating shaft. 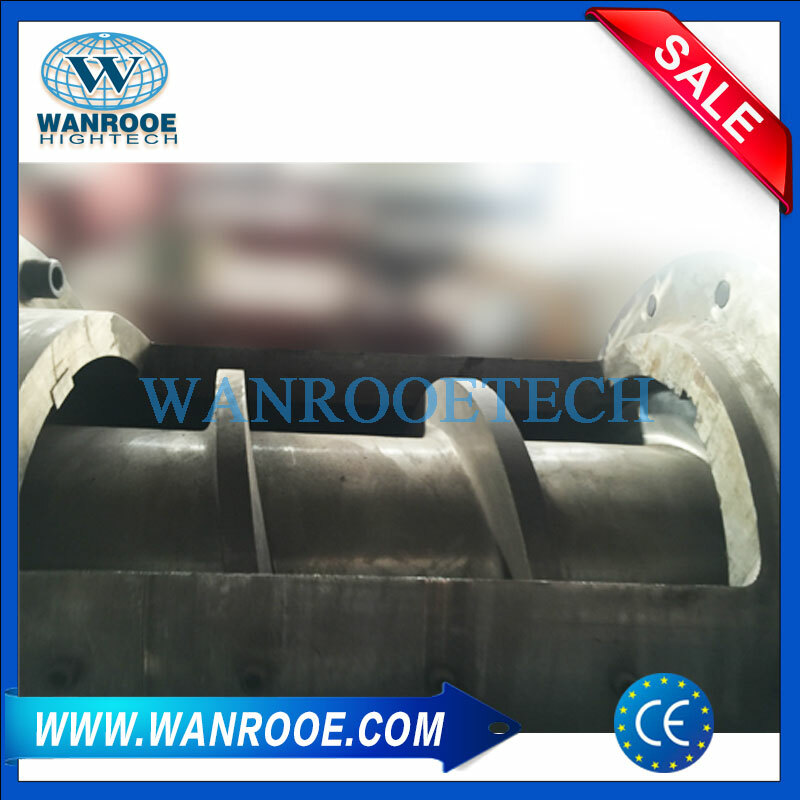 Double Shaft Shredder is built with two shafts of blades, which we also call dual shearing shafts. There is no hydraulic-driven pusher or screen on this machine. 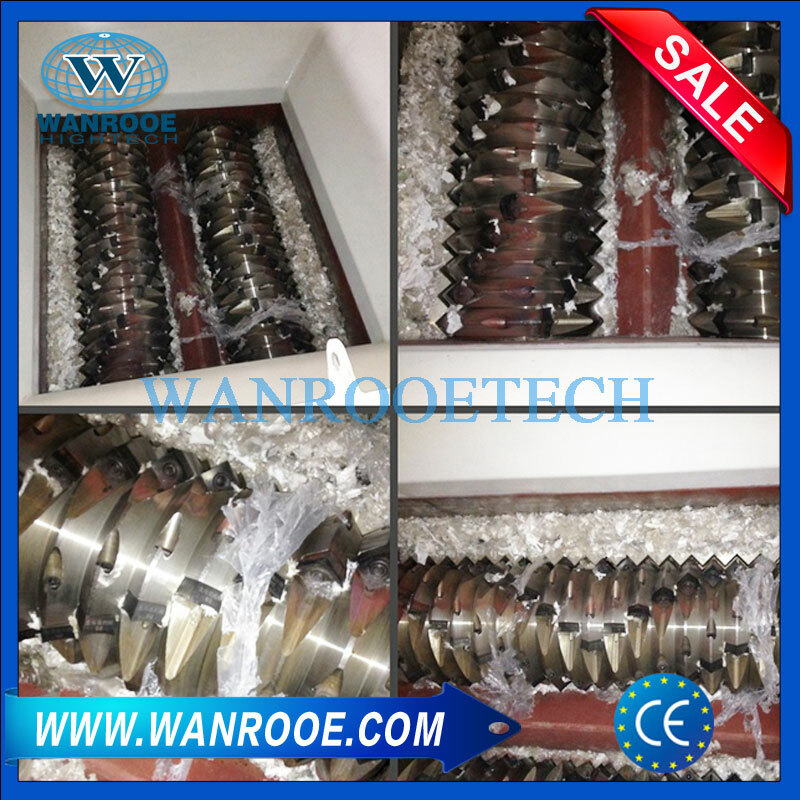 Single Shaft Shredder is mainly applied to shred thick and solid materials such as molding purgings/runners/sprues, plastic pallets, rubber rolls, wood lumbers, tree branches, bones, wood pallets, etc. 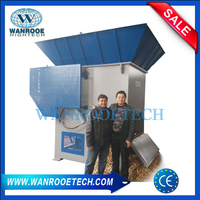 Double Shaft Shredder normally is used to shred small to large sized relatively light or hollow products, such car/truck tires, film, plastic/steel drums, scrap TV/computer, scrap fax/printing machines, etc. With a single-shaft shredder, once the material is fed into the hopper, the hydraulic-driven plate/arm pushes the material towards the cutting shaft to ensure the material is efficiently shredded by the rotary cutting blades. The material will be repeatedly shredded until the shreds are small enough to pass throughput the screen mesh as output. 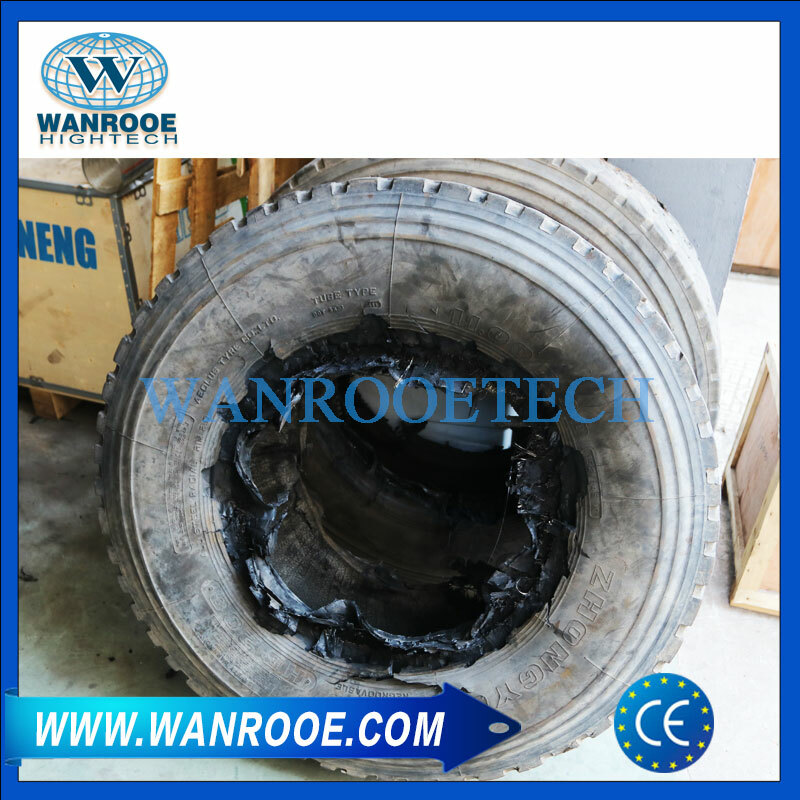 With a double-shaft shredder, once the material is fed into the machine, the two shafts of cutting blades hook the material and then bite it until it’s fully swallowed into the discharging chamber. The shreds are directly discharged after cutting without passing through any screen, so the size of shreds is quite random.